We will be closed for Easter on Friday 19th April and Monday 22nd April. For any urgent problems over that weekend please call 111, for anything life threatening dial 999. We wish you a happy and healthy Easter. We will also be closed for staff training on Tuesday 2nd may 2019 from 1pm. We are using our text messaging service more and more, to invite you for a review, blood test or let you know if a GP would like to see you. You can also you use it to cancel appointments, decline or accept services and let us know if we are doing a good job! Please make sure we have your up to date contact details. You can do this via this website or EMIS access if you are registered. Alternatively, call us and let us know. Every week a large number of patients fail to attend booked appointments. Please let us know as soon as possible if you can’t keep your appointment then we can give it to someone else! We offer a text messaging service which has the option to cancel an appointment so please make sure we have your up to date contact details. When the surgery is closed if you have an urgent problem that cannot wait until we are open again, please call 111. For anything life threatening call 999. 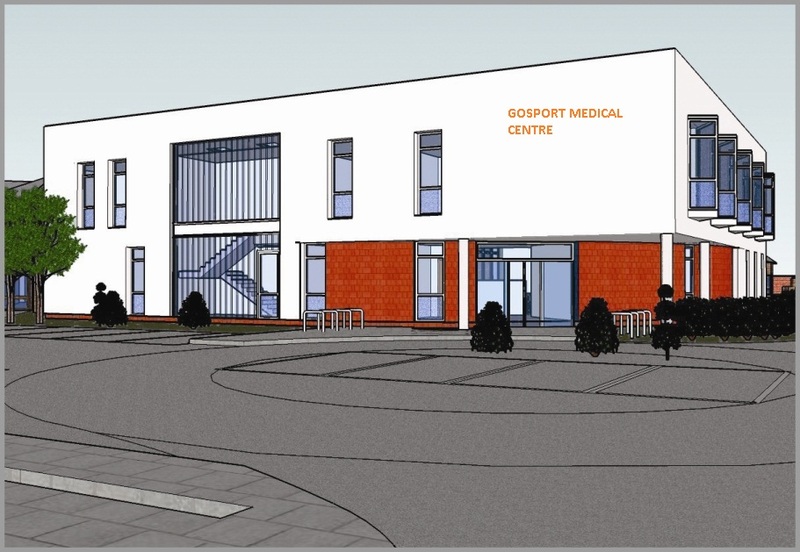 Welcome to Gosport Medical Centre. The Practice is sited at Bury Road, Gosport. The medical centre was purpose built in 2010 and houses 12 consulting rooms for our nurses, doctors and any visiting practitioners. We also have a room for our blood taking service and a triage area for emergencies. We have two full-time male Partners, two full-time female Partners and because of the countrywide problem in recruiting new GPs we have several part time regular GPs. Our senior partner is Dr Norris. As we are a training practice we may have a GP Registrar working with us. Registrars are Doctors who have worked in hospitals for at least three years after qualifying in medicine who come to us to experience work in general practice. We also have medical students with us on short-term attachments to observe surgeries as part of their training. The Practice provides personal medical services in contract with Fareham and Gosport CCG. We now have a Facebook page which is regularly updated, please click or copy the link below into your browser. The clinicians and staff at Gosport Medical Centre are committed to providing the highest standards of medical care in a safe and supportive environment for all our patients.